A good source of the immune-supporting alkaloids hydrastine, berberine, and canadine, golden seal benefits the mucous membranes in the respiratory, digestive, and urinary systems. Due to over-harvesting, it is often in short supply and has become one of the more expensive herbs. Some herb suppliers attempt to keep costs down by corrupting golden seal with similar herbs which, unlike golden seal, do not contain the alkaloid hydrastine. 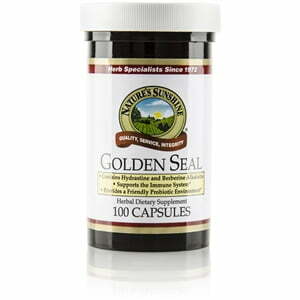 Nature’s Sunshine expertly tests its golden seal supply to ensure its product is pure. 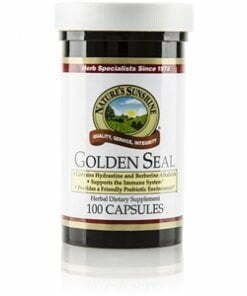 Golden seal comes in 500 mg capsules.